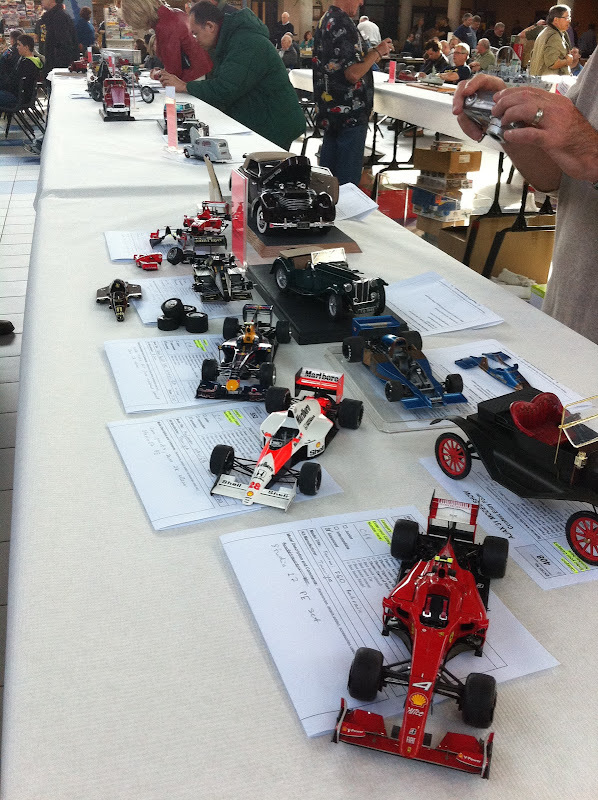 Another contest I've participated earlier was annual Group 25 car model contest. At that one I've got 2nd and 3rd as well with Lotus 79 1979 and Ferrari 248F1 respectively. Also not a great turnaround of F1 models. 7 total, with 4 being mine. That fiction ping racing car tool 1st place. Strangely great Lotus 25 model did not get anything. Lightning was quite poor in the contest room. And I didn't get to see other models well. However I had a great chat with few other modelers interested in F1 domain, but who did not bring any built models. There has been no updates recently, mainly because all my current builds are in some intermediate stages, where no new pictures could be taken. They are either in preparation stages or waiting for some additional work to be done. However I had some news in October, which I never posted. I've participated in IPMS Toronto contest in October 2011. I've got 2nd and 3rd places in Large Scale category with Ferrari 248F1 and RedRull RB5 respectively. 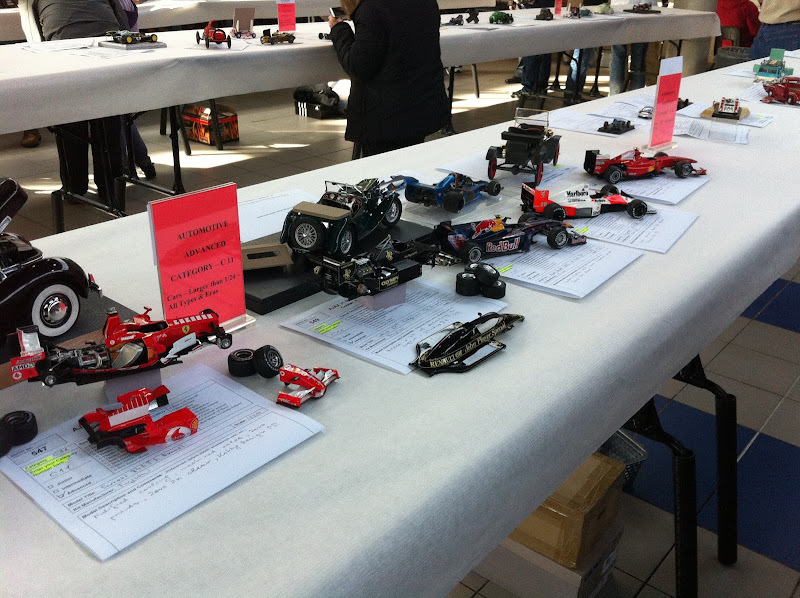 But main point is lack of F1 models and open wheel racing car models in general, represented in that contest. I've brought 5 cars alone and beside mine there were only few of models from other builders. Ironically I don't know which model has beaten me to 1st. I saw modeler, but don't know which model is was. With such a low turnout of models in my category, I'm not sure if I should be proud of my 2nd and 3rd places or rather ashamed by not taking 1st.